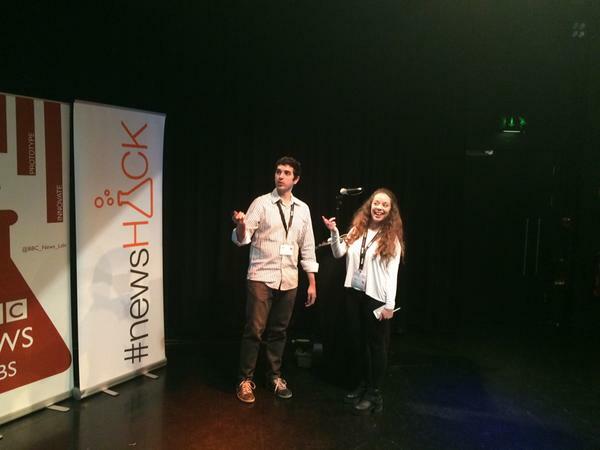 Hello, and WELCOME to the 6th edition of BBC #newsHACK! We're live from Cardiff, in Wales, and we'll be back *very* soon with updates about the intro briefing. 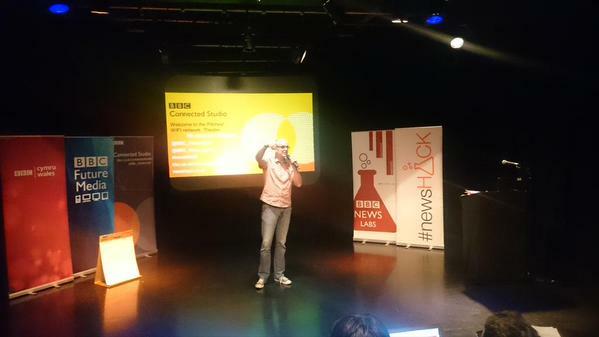 good luck to the @compjcdf @csicardiff and @CardiffJomec students heading to bbc #newshack today! 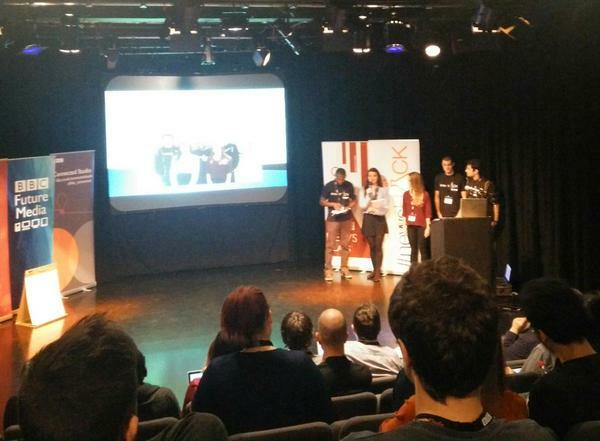 good luck to all the #newsHACK teams in Cardiff today.. will we see some Semantic API action ? To be fair, Laura Google her Welsh. Wow, there's already quite a show going on here, the competition between universities is palpable! 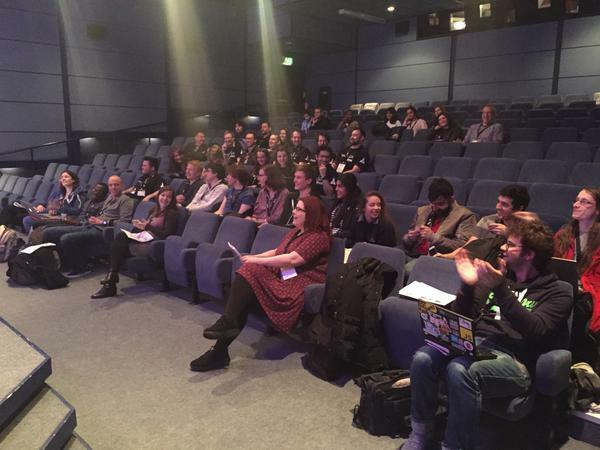 We're going to start with some very quick talks to introduce you all to the BBC and the departments that put together this event - as well as some housekeeping and scheduling precisions. That is, if Robin manages to turn his microphone on. 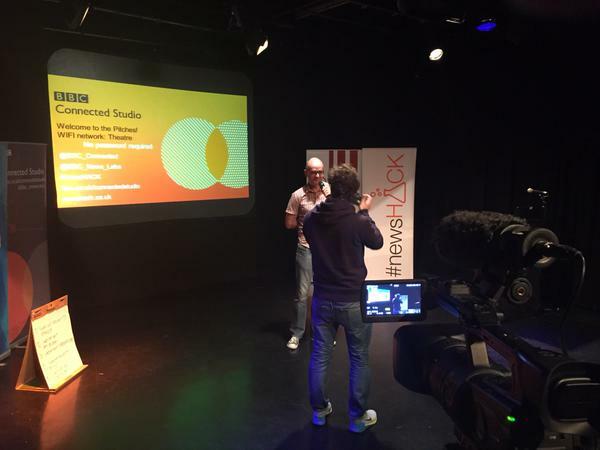 How might we create a location-aware personalised news experience that shapes itself around you? After this quick lunch, we're resuming the hacking. News Labs experts Basile and Jacqui are going to go round the room to get a good idea of where you're at. Be ready! 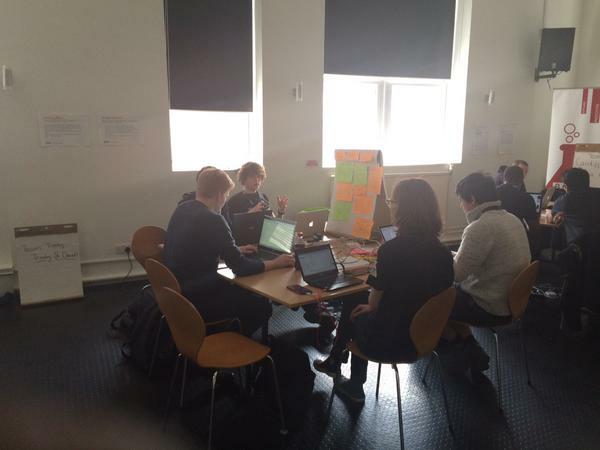 teams, refining the projects, and basically getting to know the students and the teams. 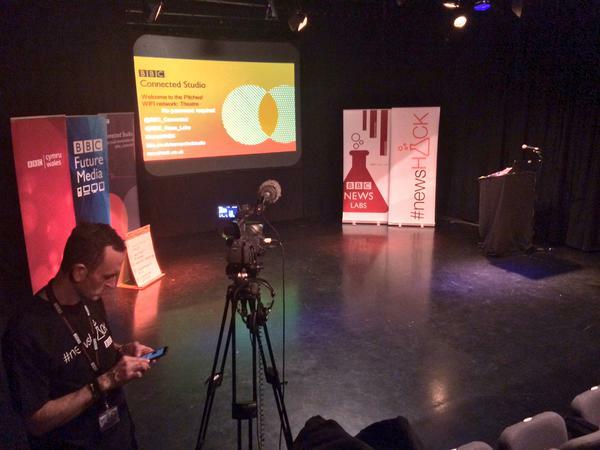 It is still quite early into the event, so we encourage all participants to sit down with the experts and BBC people to pitch their ideas. There's nothing like external feedback! Attention, participants: it's almost time for our pre-drinks round-the-room, and we're so looking forward to hearing your ideas and pitches! Aaaaaand, we're off for today! News Labs led the way to the drinks after a productive pitching session where all teams and experts got to know everybody's ideas. We'll resume this live blog tomorrow morning with a cup of coffee and a fresh, solid handful of hours before deadline. In the meantime, have a smashing evening. This is day two here at NewsHACK Cardiff. The participants are coming back to the venue, Chapter Arts, and are enjoying caffeine and croissants before what is going to be a stressful day. Fortunately, all our BBC experts are here as well after a night out in central Cardiff. And our Robin will keep the spirits up. Interestingly enough, it is very calm right now in the hacking rooms. Teams are hard at work, and while some are coding their way through errors, others are getting personal advices on the pitches and presentation. All that with this relaxing Brazilian music. Smooth. So, yes, deadline is approaching. With less than an hour to go, strangely, all participants returned to their battle stations. STRANGELY. That's it for the hacking! The participants had 24 hours to work on their prototypes and presentations, and that's now presentation time... and judging time. Once we've seen all groups on stage, the judges will get some time to deliberate, and we will finally gather again to award the prizes to the best team in each category. They propose a new app-based approach to recommendation: Tinder for News. The user is asked to swipe left or right to like or dislike a story. However, the app will definitely squeeze in both hyper-local news from your location but also important national and international. Breaking news, in particular, will be pushed to the user. "The news that you want, but also the news that you need." Although their demo video didn't work, they mention that the app embeds a learning algorithm ensuring that the app betters itself over time, removing tags you disliked a couple of times. This mixed university group starts by praising this collaborative experience - that's the spirit. "What do you feel, as a journalist, when you produce news and nobody reads it? 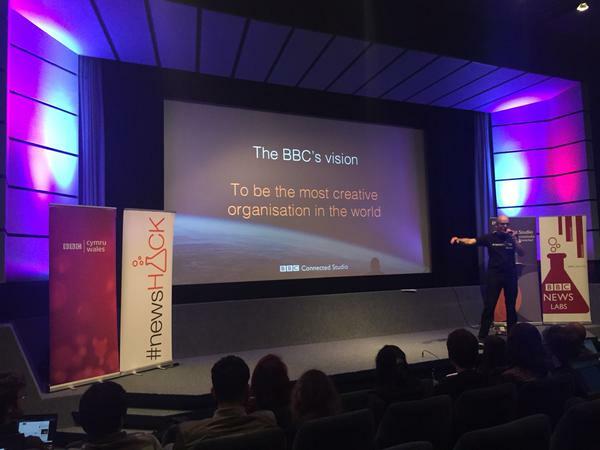 There is a lack of engagement from a young female audience, but the BBC has the content. Our products links the news with the audience, as many news stories have a readership, somewhere." The target audience of their app is the 18-25 year old women, socialites, and planning events. We're looking at a breaking news ticker across all screens to keep up with breaking news. 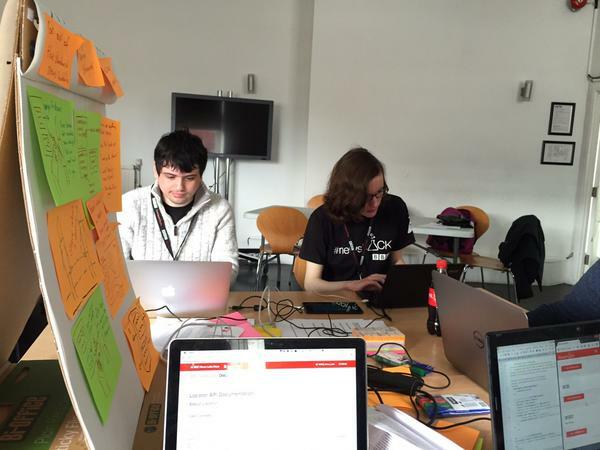 Their app is "driven by fan culture and relationships between events and news stories." With the example of a persona, who's a student interested in music, with a part-time job, caring about music in particular. The ticker will have a bottom-level ticker with BBC News breaking content. through selecting a set of interests, the app personalises the delivery: both latest news and events near you. Selecting an item anywhere will provide additional information about an event or a news story. Additionally, the app provides some social media sharing capabilities. All right, all right, now's Team Rhossili's turn, wearing the BBC t-shirt properly! Word on the Street is about sharing interests with the people around you, inspired by the challenge we proposed to them. They detail the concept of news stacking and news consumption based on selected interests - with the help of a live demo'ed app, using the Juicer app and some drag-and-drop magic. 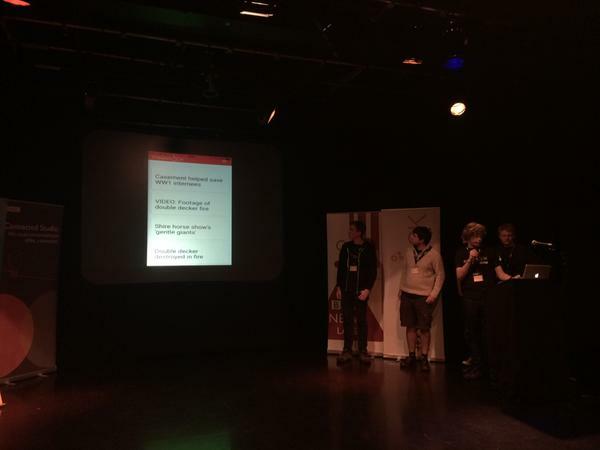 They then proceed to the 'familiar stangers' idea, which they exploit through an exchange of interest based on a geographical proximity - confession: they've tries various ways of exchanging data passively between phones without asking the user to do anything. Finally, community: after your commute, the interests and articles you collected are then available for you to discover. And finally, last but in no way least: Cardiff Uni CompJCDF is up! Based on the General election taking place in May, the whole idea is to have a map providing personalised and local news about constituencies, as well as additional information about constituencies. Their projects targets people eligible to vote, and wants not to avoid trending items and important news items. With the help of a proper d3-powered map of the UK of the constituencies, with fancy zooming. If a constituency is selected, articles about this particular constituency are fetched from the Juicer, thus putting headlines and news items forward - and not Labour or Tories. 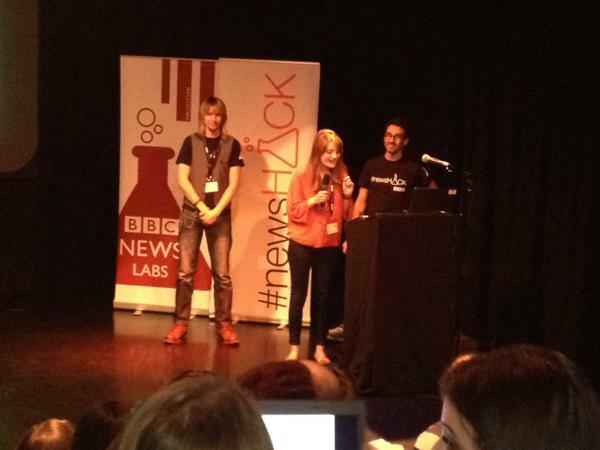 Lots of love for the @BBC_News_Labs Juicer API at #newsHACK, glad it's so useful for so many teams! Oh, wait... Presentations are over! Robin will want to wrap up this first round, and then order us to scatter to leave some room to the judges so a decision can be made. Next up will be hoodies-time. Excellent, we now have a verdict! 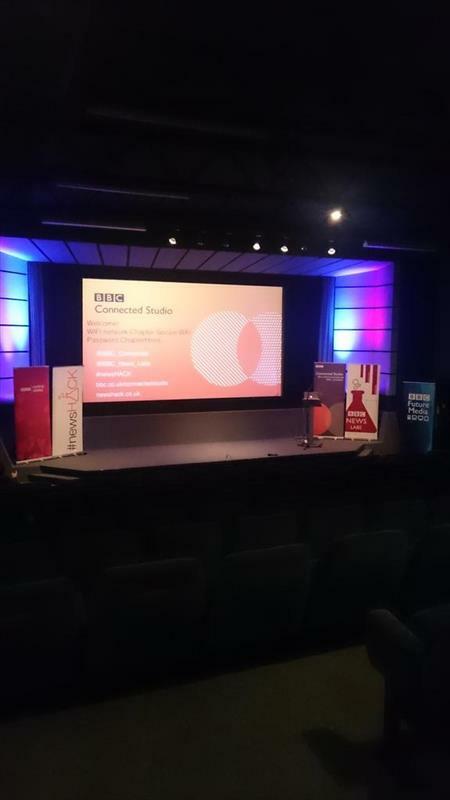 We stayed during the judging and can guarantee you that it was a tough decision, as all the presentations were quite good, and the ideas surprising and well-rounded for the BBC. 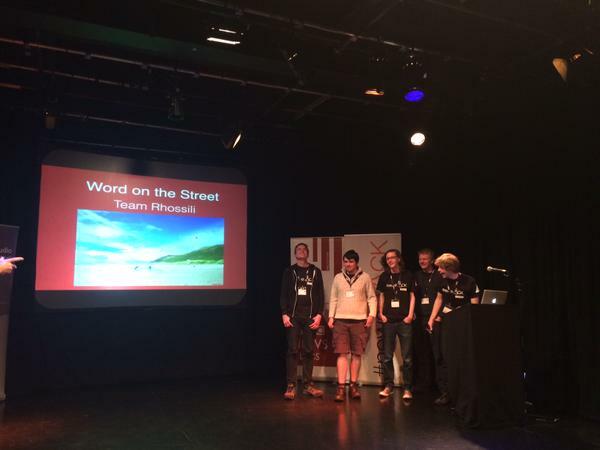 DELIVER THE NEWS: Team Oxwich! 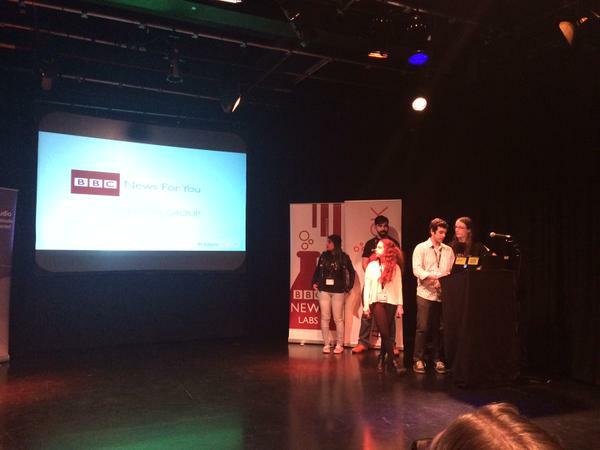 VISUALISE THE NEWS: Team Cardiff Met CompJCDF! We are now adjourning to the drinks and signing off from this live blog. Thank you so much to all the participants, the organisers, and the experts for these wonderful two days. It was a pleasure to be in Cardiff and to see both the excitement and the competition between universities.